Wendig, Chuck. Star Wars: Aftermath Cover. Digital image. Star Wars. LucasFilm, Disney, n.d. Web. 17 Mar. 2015. So it looks like we’re going back to an even longer time ago in fall 2015. We’re headed back to the sight of celebration across the galaxy on the silver screen of 1983. More precisely, we’re returning to the end of Return Of The Jedi. For years, fans have constantly wondered what the galaxy looked like after the fall of the Emperor and with the original EU gone from the logs it’s as if millions of voices suddenly cried out in terror and were suddenly silenced. Recently a new project dubbed: Journey To Star Wars: The Force Awakens, was announced on starwars.com. Some would call this an EU cleanup effort to replace the old EU with new “Canon” material. This project is said to be link between Episodes VI & VII and will “Uncover major secrets – without the need for Bothan spies”. Fans across the web seem to be excited (myself included) for the new material that will be introduced as the new canon EU! Read more about the new project! Out of many books scheduled for release this fall, many fans have been drawn to one particular title that will kick off a new trilogy of novels. 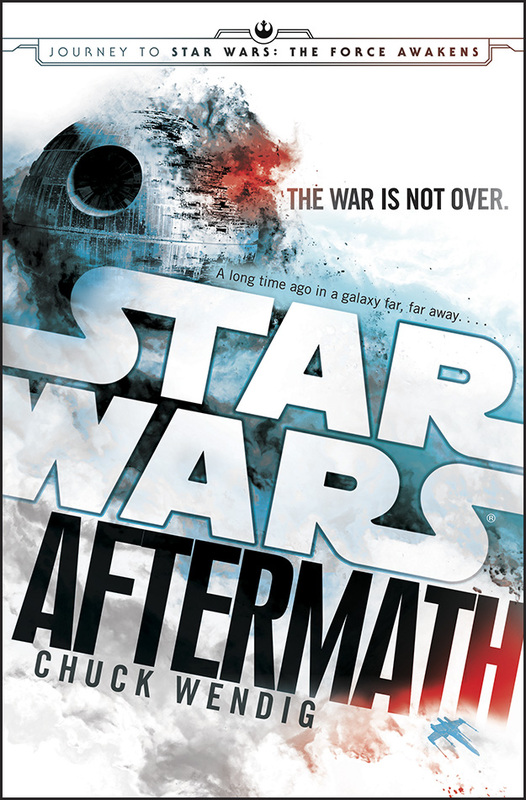 This upcoming novel is titled: Star Wars: Aftermath and will be written by Chuck Wendig who is also the author of books such as: Blackbirds, Mockingbird, Under the Empyrean Sky, Blightborn and much more. View his remarkable work on his site: terribleminds.com. The exciting new trilogy of novels will include a new cast of characters and a familiar face! The story picks up after Return Of The Jedi and leads up to The Force Awakens. Many fans may wonder who could be leading the Empire during a period of reformation? I personally would love to see the return of characters such as: Boba Fett and Dash Rendar. But who knows what the future may hold? Let’s find out September 2015 with the release of Star Wars: Aftermath! Previous Previous post: Star Wars: Episode VIII Gets a Release Date!